Mysterious, and beckoning, the great, grandmother moon calls to us with her light, and her rhythms. For centuries women have heard this call, practicing our magic, and living our lives in alignment with the moon as it waxes and wanes, and calls forth our monthly blood. Just as everything in nature expresses cycles; the seasons, the planets, the sun…so does the moon. When we align all that we do with the lunar cycles, our life – and our magical workings begin to flow in the most surprising of ways, and we can learn to balance our energies in this highly solar-focused world that we live in. One of the most powerful ways that I have learned to work with the moon is to craft magical oils that are infused, and aligned with each of the moon’s phases. I use these oils in my moon spells, rituals, and lunar ceremonies, and I also craft them for clients, and friends to use during their personal birth moon phase, and sign, and during their own magical rituals, and ceremony. A potent lunar oil can be also be used to anoint the body during your moontime for blessing, healing, and devotion, and it can be used to anoint crystals, wands, and other ritual tools, infusing them with the moon’s blessings, power and essence. Even when we no longer bleed, the moon and her magic move the energy of our body, and teach us of her ancient ways, for just as the light of the moon is always shining – even when it appears dark, the essence of our lunar blood is always flowing – even when it appears to have stopped, and so in addition to the moon oils of the maiden (new moon), and mother (full moon), I will also share with you the secrets of crafting moon oils for the crone (dark moon). Over the next two months, I’ll share with you the many ways that I’ve learned to work with lunar magic such as: the 9 moons of power, timing your magic with the moon, working with the moon as it travels through the Zodiac, exploring the elemental moons, and also how to work with the power of your birth moon phase, and moon sign for deeper understanding of your own lunar nature, and power – and how to use this to amplify all of your magical workings. You’ll also learn how to make moonwater potions, and bath salts in addition to crafting your magical moon oils. Sign up by October 12th to receive the Lunar Aromatherapy Kit, which includes 6 of the essential oils featured in the course: 3 oils for waxing moons & 3 oils for waning moons, jojoba oil, disposable pipettes, labels, and empty vials for making your own dark, new, 1st quarter, full moon, last quarter oils, along with a lovely silver drawstring bag to keep all of your moon oils in, and free US postage. Please inquire for reduced pricing on International postage. Pay in full by October 5th with this coupon code to receive $25 off your tuition: MOON25OFF. Discounted Payment Plan available until October 5th: $80 each month for 2 months / regularly $90 each month. 2 month course + bonus course material. PDF keepsake lessons, and recorded bonus guided meditation. Introductory, and bonus material begins upon enrollment. Course lessons begin on October 12, 2018. Introductory lessons: September 25th, 27th. Bonus lessons: September 29th – October 5th. Course lessons: October 12th – November 30th. Enrollment is now open, and closes on October 12th. The Lunar Aromatherapy Kit is only offered with the course until October 12th. After October 12th, the Lunar Aromatherapy Kit will be sold separately. Please contact me for enrollment after October 12th. After October 5th: 2 payments of $90 each month, paid via PayPal recurring payments. Until October 5th: 2 payments of $80 each month, paid via PayPal recurring payments. Please note that once your payment processes, it is not refundable. Also please note that the payment plan option is offered as a courtesy to you, and is a promise that you will pay off your enrollment in two installments. You are expected to honor this promise. Cancellations of your payments prior to paying off your enrollment in this course will prevent you from using the payment plan option for your future enrollment in any of my courses. To begin your 2 month Payment Plan: please CLICK HERE. If you live outside of the US, and wish to receive the lessons, but not the Lunar Aromatherapy Kit, please CLICK HERE for reduced pricing when paying in full. If you live outside of the US, and wish to receive the lessons, but not the Lunar Aromatherapy Kit, please CLICK HERE for reduced pricing on monthly payments. Please note that the payment plan option is offered as a courtesy to you, and is a promise that you will pay off your enrollment in six installments. You are expected to honor this promise. Cancellations of your payments prior to paying off your enrollment in this course will prevent you from using the payment plan option for your future enrollment in any of my courses. Please note: these discount options are not available for US residents. The Lunar Aromatherapy Kit which includes 6 of the essential oils featured in the course: 3 oils for waxing moons & 3 oils for waning moons, jojoba oil, disposable pipettes, labels, and empty vials for making your own dark, new, 1st quarter, full moon, last quarter oils, along with a lovely silver drawstring bag to keep all of your moon oils in, and free US postage. Please inquire for reduced pricing on International postage. Please inquire for reduced pricing on International postage. Your Lunar Aromatherapy Kit will be shipped on October 31, 2018 to the address on your PayPal account. Students who have taken my previous lunar, magic, herbalism, and perfume courses will notice similar lessons, and/or course material, as it was necessary for new students to receive this material. You will find, that wherever possible, I have refreshed any similar course material so that it will continue to inspire returning students. Please note that on occasion an unforeseen delay in shipping may occur. Items described above for the Lunar Aromatherapy Kit are subject to change based on availability. Instructor is not responsible for items shipped to an incorrect, or outdated PayPal address, or if you fail to provide the correct address. Instructor is not responsible for items held by customs, or for customs fees, or taxes that you may be charged. © 2018 Renée Starr. All rights reserved. No part of this course may be reproduced, distributed, or transmitted in any form or by any means, including sharing, photocopying, recording, or other electronic or mechanical methods, without the prior written permission of the author, except in the case of brief, cited quotations embodied in critical reviews and certain other noncommercial uses permitted by copyright law. 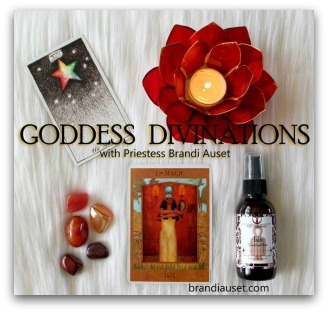 For cheerful and generous permission requests, write to: info@goddesspriestesswitch.com. Please note that I will respond with swift legal action to all copyright infringements, sharing, and acts of plagiarism.